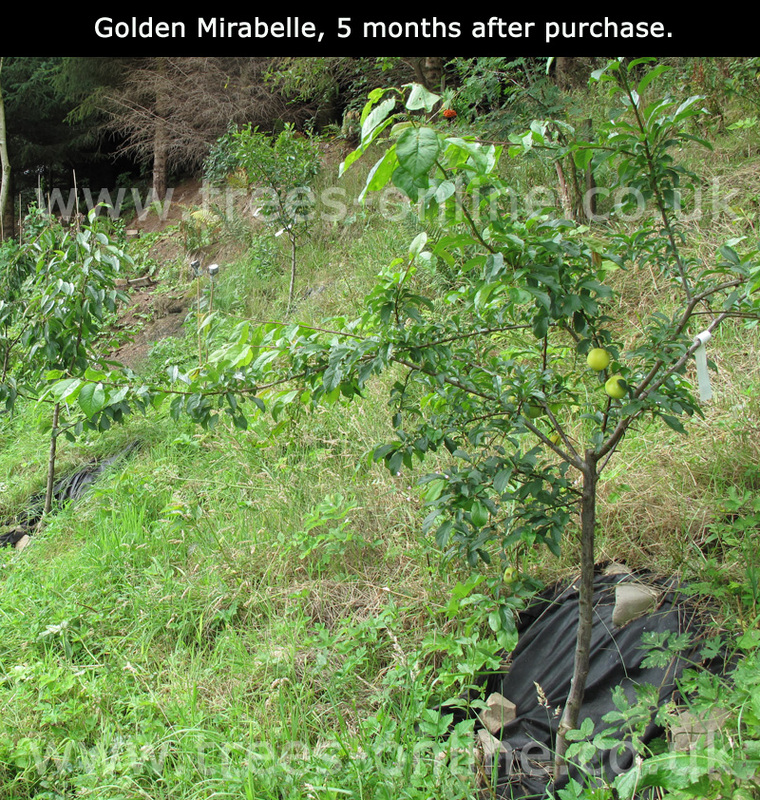 Buy Cherry Plum Mirabelle trees for sale online FREE DELIVERY from UK specialist suppliers of garden fruit trees. 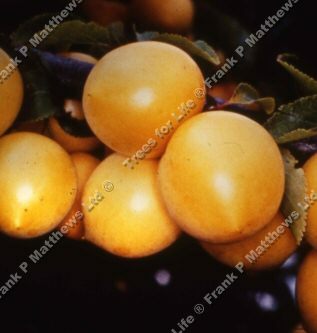 Golden Sphere (Prunus insititia 'Golden Sphere') is a large, yellow almost translucent Mirabelle with golden flesh and a yummy, plummy flavour. Partially self fertile. Self-fertile/Not self-fertile: This Mirabelle is partially self-fertile. Another pollination partner is advised especially if living more than a mile away from other Mirabelle trees if you want the best possible chance of the tree fruiting. This Mirabelle is in flowering period is C1. Golden Sphere will be suitable to act as a pollination partner for damsons in the flowering periods C1 and C2. This variety of Mirabelle tree is supplied in a container, which means that the tree can be planted any time of the year and with better results than either bare-root or rootballed trees. Just like many other stone fruits such as Plum, Damsons and Gages, Mirabelle fruit trees do not winter (Oct to Mar) very well if left in their containers outside. The smaller thermal mass and faster drying out issues of a small container can generate problems for the tree to include absence of life or death or just not playing anymore depending on how you want to look at it. If you want to keep the Mirabelle tree in a container, we advise moving to a conservatory or greenhouse. Technically speaking it is possible to use plum trees to pollinate Mirabelle plum trees but has more risk than using another Mirabelle plum tree. If the Mirabelle is self-fertile, this of course is not an issue.